Do you like feeling physically small and insignificant, like a little dot on a giant web? 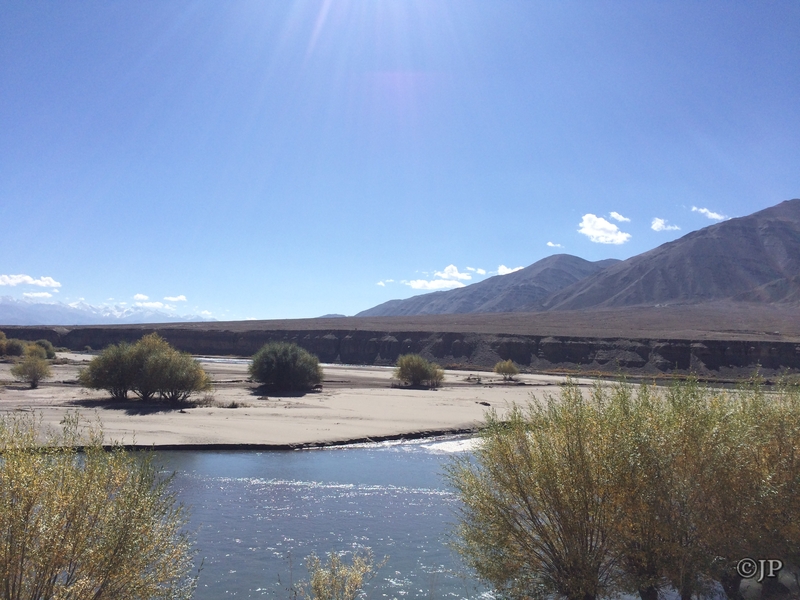 If your answer is no, make sure you don’t travel to Ladakh. What this place will do to you is not for the faint hearted. Yes, you could visit it for a few days and witness the colours of nature, breathe in the fresh air, click a few pictures and return to your life feeling slightly recharged. But to live it, is a whole other ballgame. Light blue skies, with a hint of fluff. Brown mountains with a thickset white hairdo, like wise men smiling knowingly at you. Thin air sparkling with dust as far as your eyes can see, and a smattering of roads below, few and far apart. 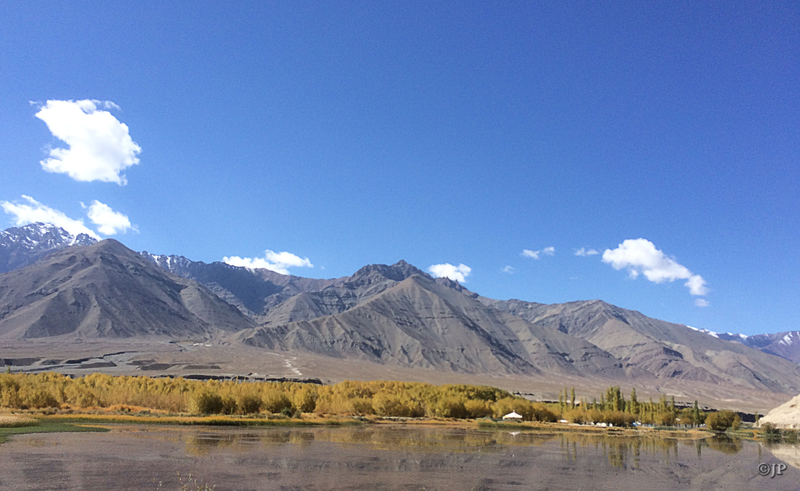 This is what I woke up to, from a nap during my Go Air flight into Leh IXL airport from New Delhi. 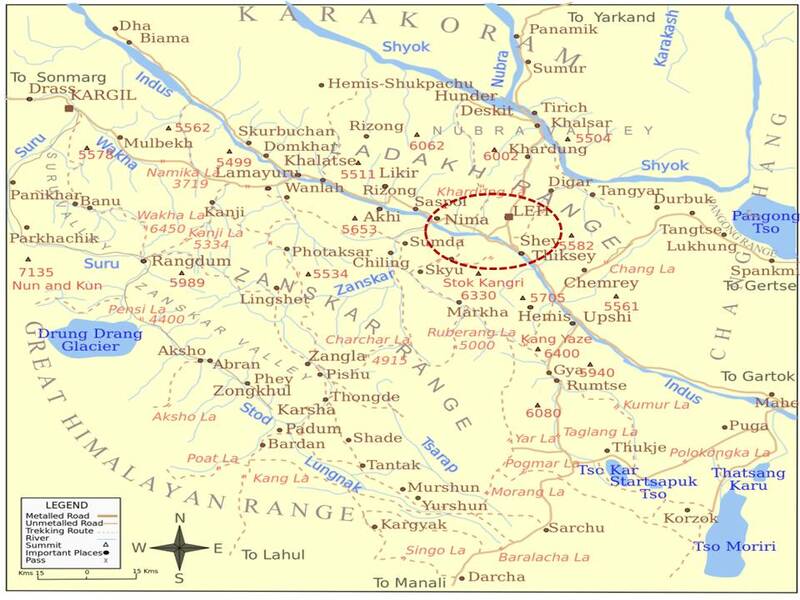 Air India and Jet Airways are the other two operators flying directly to Leh. My advice is to choose Jet Airways. 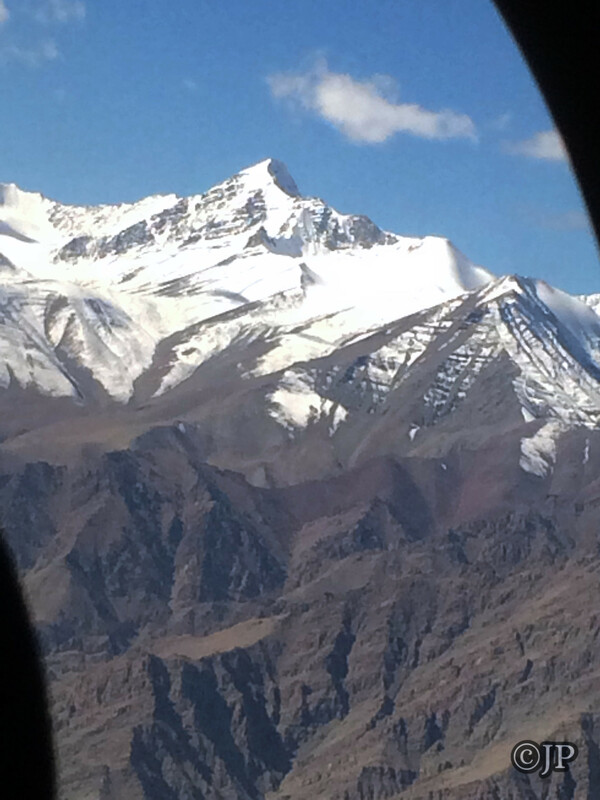 The plane taxied onto a strip of land engulfed by the grandeur of the Himalayas on both sides. With the endless skies and the powerful sun beaming to welcome you, the road looks like it’s built on water. It shimmers and shines, as the unworthy passengers deplane and refuse to leave the runway, wanting to capture the vast beauty from every angle their selfies will allow. Who can blame them? There’s a tease of network and maybe even internet! 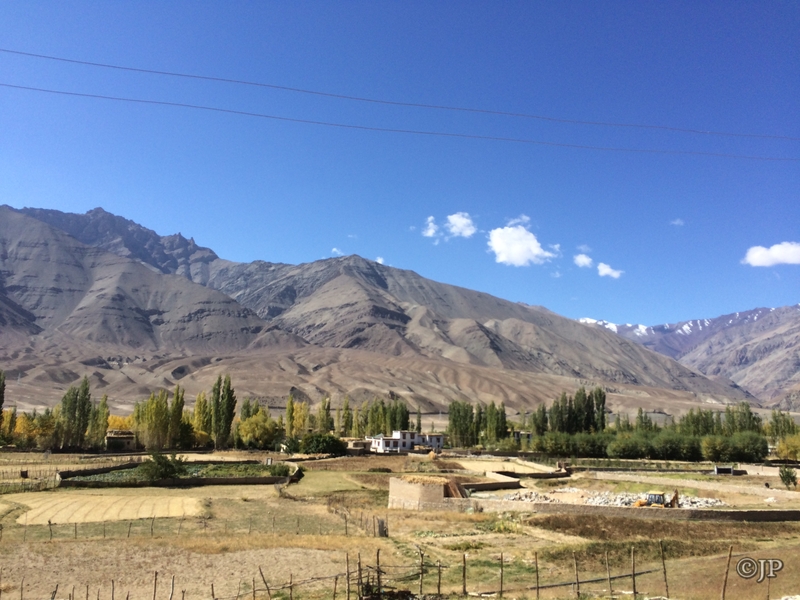 Don’t be fooled, there is no such thing as mobile data in Ladakh (unless you have Airtel or BSNL). For the latter, only post paid cards work, or you could enlist a local’s help in purchasing a J&K sim card. We grab our luggage in the tiny one-building airport, pull out our measly sweatshirts to battle against the 18°C air and look for Dorje’s (09469715533) man Rigzin, who’s waiting to take us to SECMOL. The cost is Rs. 856 as per the set rate card. As soon as you step out of the aircraft, you realise there’s something different. The faces that greet you are weather-worn, but always smiling. Another striking feature is that their smiles are honest. 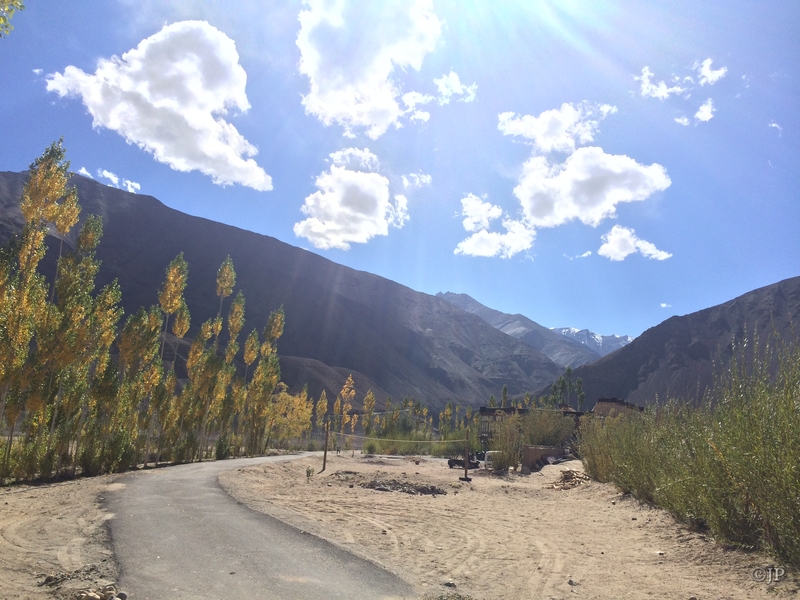 There’s no mal-intent in kind gestures, here in Ladakh. And this is my impression in just the first few minutes. Am I in for a treat! We set off on the narrow road out the airport. Towards the right is the city of Leh, about 20 minutes away. We head left.The roads are lined with barren army camps along the way, set against the marvelous backdrop of the Himalayas! Along the way, which is only a route of about 20 minutes (sadly), the sun shines bright upon us and reflects the beautiful colours of fall, with multi-coloured trees lining the gorgeous brooks and canals, and ponds and rivers. 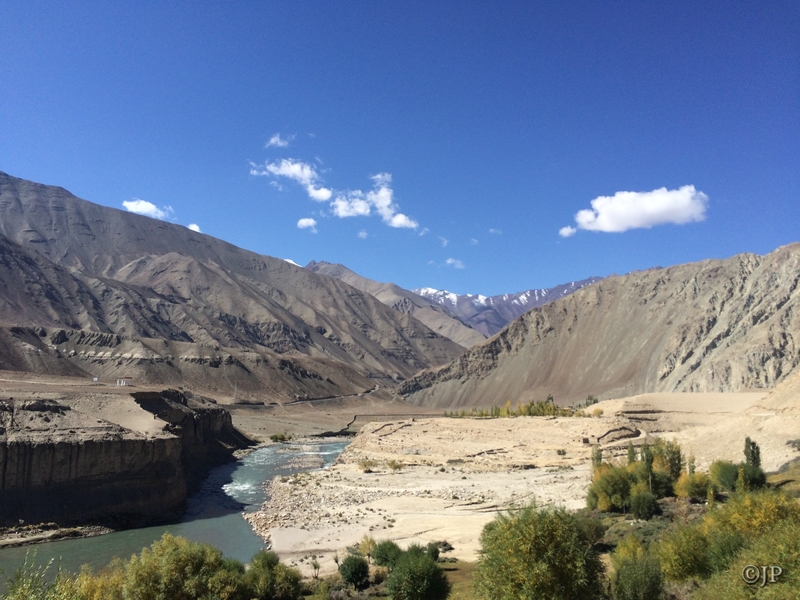 This is the Indus river and its tributaries; one of two main rivers – the other being the Zanskar – which run through all of Ladakh.The Indus also passes through SECMOL and then goes on further to meet up with the Zanskar,at a surreal confluence point – more on that later! The scene in front of my sunny eyes was almost illusory. We pull into the cute little deserted village of Phey, with mobile network sparsely following us all along. We turn a corner, and there, across the gorgeous sparkling river, is my home for the next 30 days, on a cliff engulfed by trees. The first thought I have? I made a mistake booking my return ticket. There is no way 30 days are enough here. We drive along a long driveway lined with trees of yellow, auburn and bright orange, in our little van. The land around is barren and grey, sprinkled with brown sand and clouds of dust. Up run a few Ladakhi boys, greeting us with the brightest smiles. The smiles here are contagious, and seem to run in the water.